(April 18, 2018 (Dubai)): (Dar es Salaam – Tanzania) East Africa is emerging for Islamic Finance and a new destination for Islamic Financial Institutions which will open new avenue for the Foreign Direct Investment (FDI) in the region, it was stated by Muhammad Zubair Mughal, Chief Executive Officer of AlHuda Centre of Islamic Banking and Economics (CIBE) during the inaugural ceremony of 5th African Islamic Finance Summit in Dar es Salaam, Tanzania today. Conference will continue till 20th April 2018, in which speakers from various countries will present their presentations, research papers and viewpoints about Islamic Banking and Finance industry. He said that, Tanzanian Islamic Banking and Finance market is very imminent seems promising. 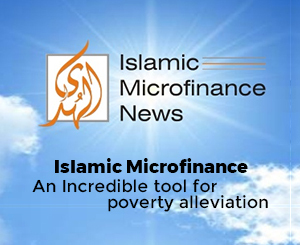 There are 4 banks offering Islamic banking services in the country; one is a full-fledged bank while other banks are also looking forward to enter in this niche market, about 5 Islamic Microfinance institutions are working in the country, meanwhile, couple of insurance companies are also waiting the green single of the regulator to be entered into Takaful market. The summit was inaugurated by Eng. Hamad Masauni, Deputy Minister of Home Affairs, Republic of Tanzania on behalf of H.E Samia Suluhu, the Vice President, Republic Tanzania. He appreciated AlHuda Center of Islamic Banking and Economics activities for the development of Islamic banking and finance in Africa especially in Tanzania. He mentioned that Tanzania has enriched future for Islamic banking and finance and many banks are dealing with Islamic banking products in the country. He mentioned “BOT has been receiving applications for licenses either to operate Islamic windows or full-fledged Islamic banks. We as Government acknowledge absence of specific legal and regulatory framework to govern the Islamic finance industry and therefore Government through BOT and other stakeholders is harmonizing the principles of Islamic finance and the existing principles of conventional rules”. While speaking at opening ceremony, Dr. Bernard Y. Kibesse, Deputy Governor, Bank of Tanzania (BOT) said, Islamic banking and finance is growing globally and Africa is also a good destination of it, he mentioned that BOT designed different guidelines for the smooth Islamic banking operations in Tanzania. He congratulated AlHuda CIBE for its role to introduce and promote Islamic banking and finance in East Africa. In the Inaugural Ceremony, Dr. Baghayo A. Saqware, Commissioner of Insurance, Tanzania Insurance Regulatory Authority (TIRA) Tanzania said that Insurance industry in Tanzania is growing at fast pace and Takaful would be a very good value addition in it, which will be very good tool of financial inclusion and social development, and shared that TIRA has already been issued draft Takaful guideline for comments, and we are sure Takaful will be reaching to Tanzania very soon. Other speakers and distinguished guests include H.E. Dr. Ashatu K. Kijaji (MP), Deputy Minister, Ministry of Finance and Planning, Tanzania, H. E. Mr. Aly Toure (represent Governor), Director General of Permanent Control, Central Bank of Guinea, Republic of Guinea, H.E. Dr. Sahabi Isa Ga High Commissioner, Nigeria Embassy Tanzania, Tanzania, H.E. Pro. Faustin Kamuzora, Permanent Secretary, Prime Minister office, Tanzania, H.E. Sheikh Abubakar Zubeir Mbwa, Grand Mufti, BAKWATA-The National Muslim Council of Tanzania, Tanzania, H.E. Mr. Said Salim Awadh Bakhres, Chairman, Bakhresa Group of Companies, Tanzania, H.E. Mr. Mohammad H Mbaye, Executive Chairman, CIFCA, Tanzania, H.E. Mr Amir Muhammad Khan, Chargé d'Affaires a.i, Pakistan Embassy, Tanzania, H.E. Dr. Baghayo A. Saqware, Commissioner of Insurance, Tanzania Insurance Regulatory Authority (TIRA), Tanzania, Mr. Moh Issa Hemed, Secretary General, The Islamic Foundation, Tanzania, Mr. Muhsin M. Hussain, Managing Director, Tanzania Takaful, Tanzania, Dr. Abdallah Yahya Tego, Deputy Vice Chancellor (Academic, Research and Consultancy), Muslim University of Morogoro, Tanzania, Mr. Junaid Farid, Director, Strategic Planning & International Marketing, Akhuwat, Lahore, Dr. Muhsin Salim Masoud, Managing Director, Amana Bank Limited, Tanzania, Mr. Seleman Abdallah, Founder & Managing Partner, Lead Consultant PM, Tanzania, Mr. Zubair Mughal Chief Executive Officer, AlHuda CIBE FZ LLE, Dubai- U.A.E, Mr. Mamode Raffick Nabee Mohomed, Founder & Secretary, Al Barakah Multi-purpose Cooperative Society Limited, Mauritius, Mr. Mohammad Waseem Bhatti, Chief Executive Officer, Greenville Consulting, Hong Kong, Mr. Ahbabu Abdella Yassin, Exploremore Consultants, Head, Training & Research, Ethiopia, Mr. Ahmad Hayder Jabir, Businessman and Lecturer, Zanzibar University, Zanzibar, Dr. Abdulrahman Juma Nkoba, SENIOR LECTURER –Institute of Finance Management (IFM), IFM/CEO – CIFCA, Tanzania, Mr. John Edward Riggan, Chief Executive Officer, Innovare Advisors, USA, Dr. Mohammed Hafidh Khalfan, Former Deputy VC (Academics), Zanzibar University, Zanzibar, Mr. Rashid H.H. 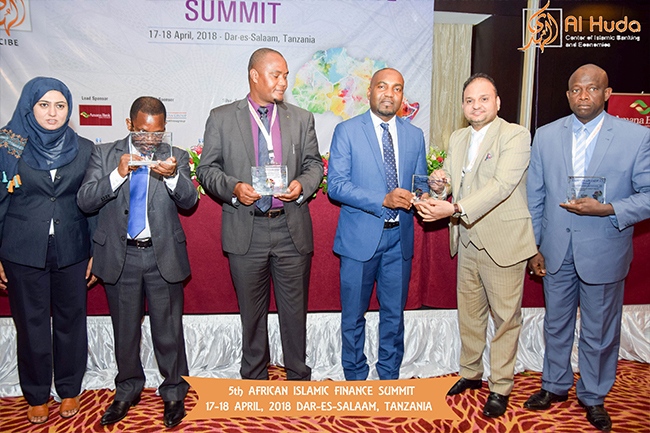 Rashid, Head Of Islamic Banking, KCB Bank, Tanzania, Mr. Khalil ur Rahman, Sr. Research Officer, AlHuda Center of Islamic Banking and Economics, Pakistan and Mr. Salim Abdallah Zagar, Chairman, Moladi Tanzania Limited, Tanzania. A two days post event specialized workshop for “Takaful and Islamic Microfinance” will be held on 19th – 20th April, 2018 after the summit.